Green School is an effort to provide hands-on experience of the natural world to students and orient them with skills to live in harmony with nature. It is an effective medium to bring positive environmental and educational change in school students. It prepares students to be critical thinker, bear responsibilities and stand as green leaders of their communities. The overall goal of the project is to develop sustainable rural communities that live in harmony with nature. 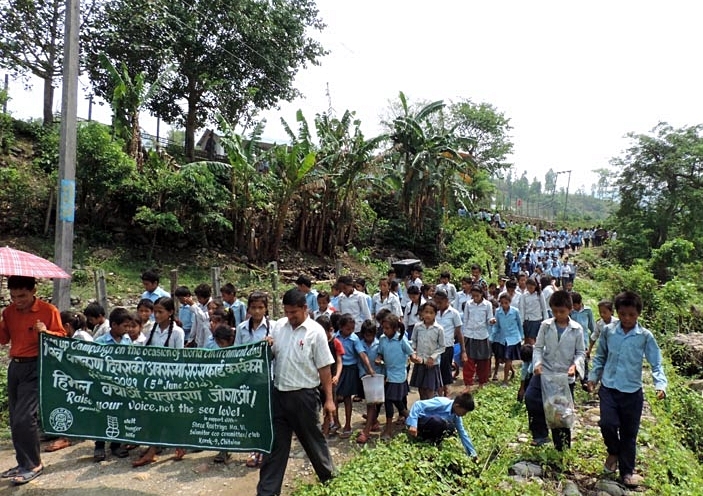 Green School is a novel concept and was first piloted in Nepal by Friends of Nature with support from Welthugerhilfe (WHH) at Korak VDC of Chitwan. Currently, four schools in Salayantar area of Dhading district benefit from the project.